Recently, some days back we talked about the Xiaomi Scishare S2101 water heater from the Xiaoimi brand of the group. 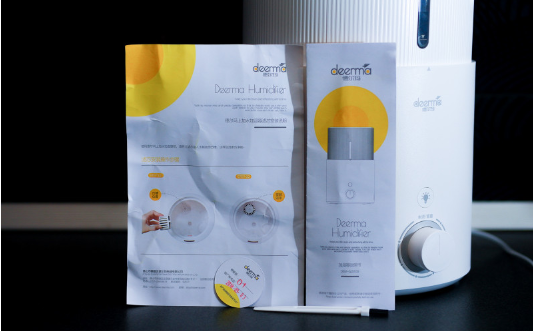 Today we have the Xiaomi Deerma DEM-SJS100 Humidifier for introducing to our readers. 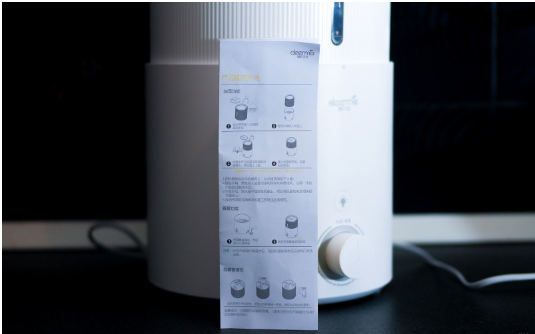 There are different models of humidifier available from the Xiaomi series of humidifier including SJS600, however, it only differs in the presence of a UV lamp. Moreover, they are often under the pretext of buying an older model, selling the younger one, but at the price of the older one naturally. So before buying, pay attention to the reviews. However, since the store does not send the younger model temporarily, the link will be the SJS100 model (it is even cheaper on the website, but the issue with the UV lamp remains there). What can this device do? 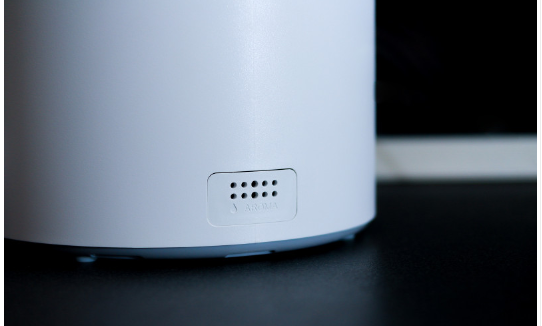 The Xiaomi Deerma DEM-SJS100 Humidifier can moisten rooms with a quantity of 270 ml/h and emit a noise level below 35 dB (papers values). Then water tank comes with a capacity of 5 liters, which ideally should be enough for 18 hours of constant use. The manufactures Xiaomi Deerma is constantly producing tech that matters for everyday life which also provides quite exciting solutions for the home. Also, they have an extensive park of humidifiers, and we’ll tell you about one of them now. The package arrives from the gearbest in a rather mediocre condition. A bit shabby, with bruises, but good with a whole humidifier inside. 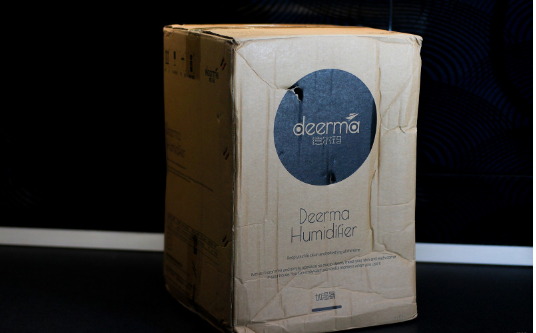 The top of the package comes with the full name of the device – Deerma Humidifier. Moreover, as usual with the Deerma products no mention of the parent company Xiaomi, even as a QR code in their store. On the other side, there are other features of the device written in Chinese – 220V | 50Hz | 25W. 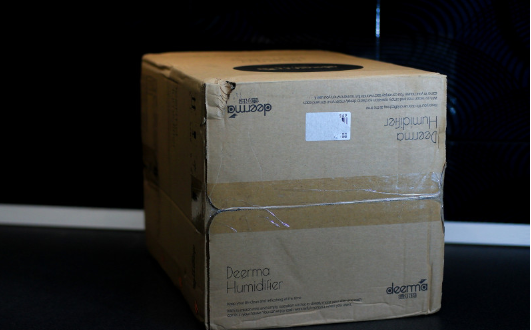 For the safety while transport, the Xiaomi Deerma DEM-SJS100 Humidifier comes with a foam podium and also it has a lid of same material inside the box. 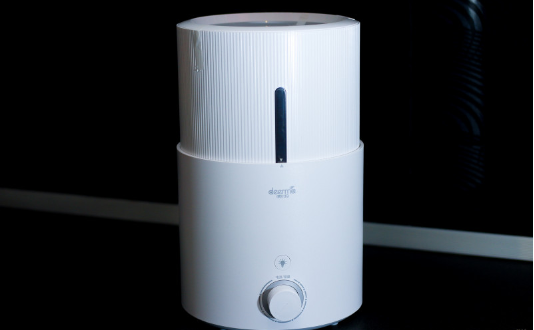 The humidifier itself is made of premium ABS plastic in the form of a tower, in which the upper part is corrugated, and the lower part is smooth. 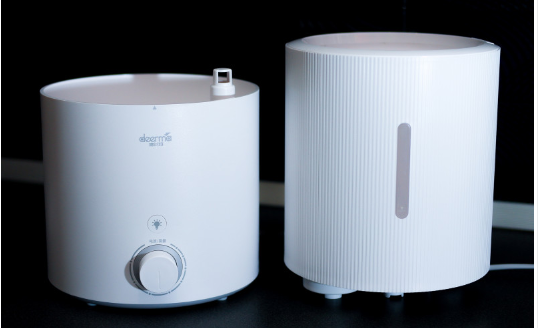 The dimension of humidifier is quite large and measures to be – 330 * 224 * 208mm. 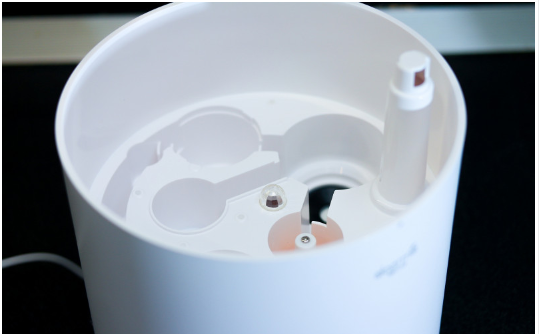 The entire kit of the humidifier is the Xiaomi Deerma DEM-SJS100 Humidifier itself. Inside the box, you will also get instructions manual in Chinese, a cleaning brush, and a warranty card. Production date – September 3, 2018. There is a single control dial in the form of a cylinder with a risk around which degree of fog power is applied (literal translation of Chinese characters). 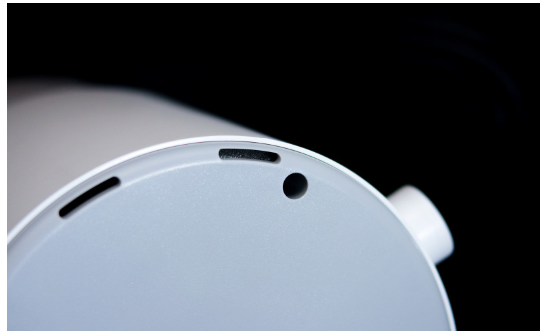 You can rotate the knob smoothly and hear a distinctive click after turning on of Xiaomi Deerma DEM-SJS100 Humidifier. 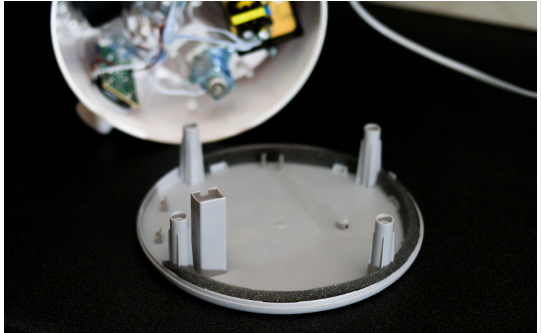 Above the knob, there is a switch to enable or disable the built-in backlight. The backlight is purely illustrative and not particularly striking. 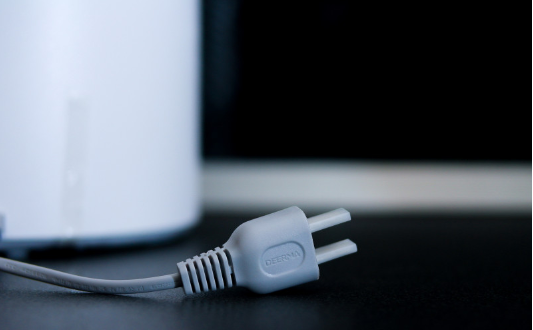 On the back side of the device there is power cord with a plug type – A. The wire comes without a grounding and has two conductors with a cross-section of 0.5 mm2. 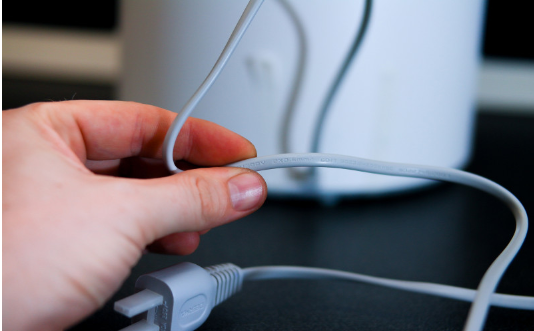 One of the most significant problems with the device includes the shortness of the cord. 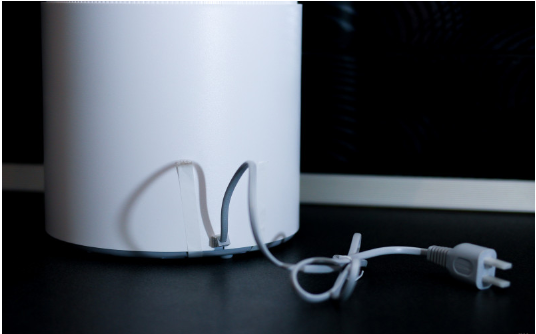 The built-in cable is just 1m in length, and it can be a problem for most of its installation sites. Also if you are living in any European country, you have to buy an adapter for the European plug because it is not included in the kit. 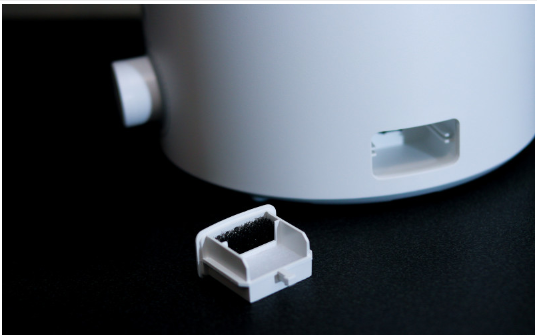 Moreover, the Xiaomi Deerma DEM-SJS100 Humidifier also provides an external window for the aroma oils. You can use it by dropping, for example, a little eucalyptus on a white sponge in the substrate, and you can get an effective barrier against viruses and microbes. The black foam inside it acts as a seal. 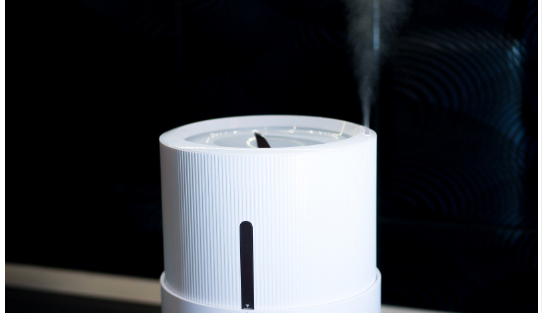 We take oils by ourselves from the same place for the previous humidifier i.e. Gearbest. 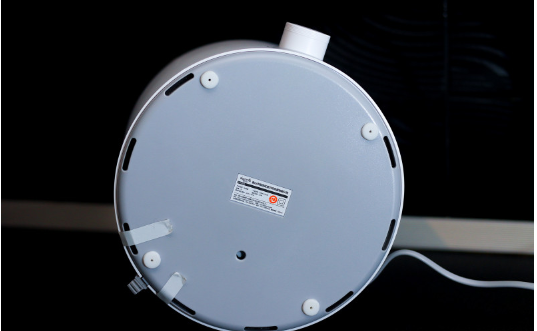 The humidifier is made up of two parts and consists of a base with an electrical component and a tank. The capacity of the container is vast five liters, which is more than enough for ten hours of continuous working. Both the parts material is of premium matte plastic. 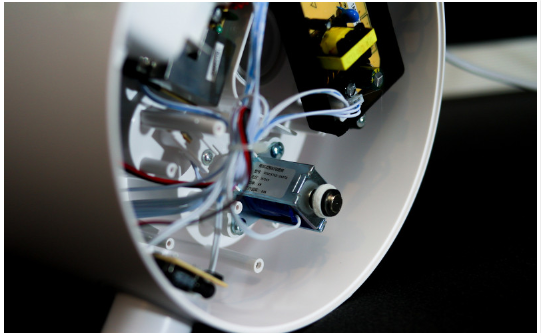 Which, unlike the Scishare S2101 water heater, does not leave any marks on it. On the water container itself, there is a window for understanding the level of occupancy. In the picture below, we have filled the tank with 1.8 liters of water. On the container and below part there is an arrow indicating how to combine the tank and base properly. 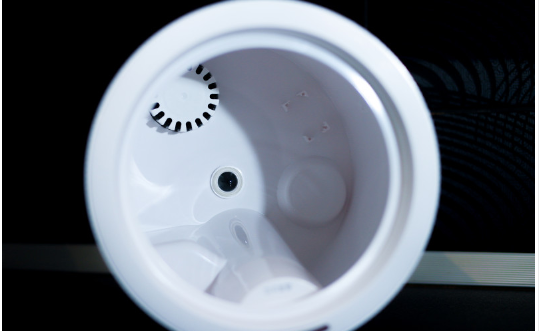 Inside the upper part, there is a removable cover with a very convenient water filling system. 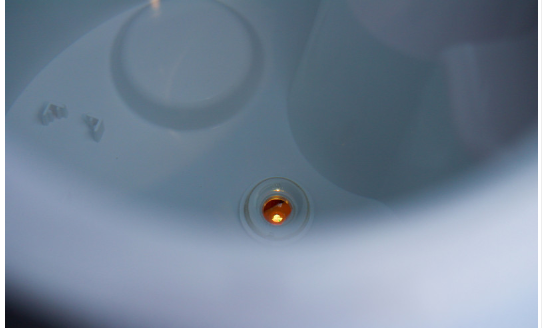 When you pour water in the tank from any kettle to any place on the plane, it will directly flow towards the notch on the roof. As it turns out there is no water remains on the surface in any case. Also, the tank has a slot for steam inside the case. The tilt adjustment for the steam spout is not provided, and it remains in the vertically upwards position always. 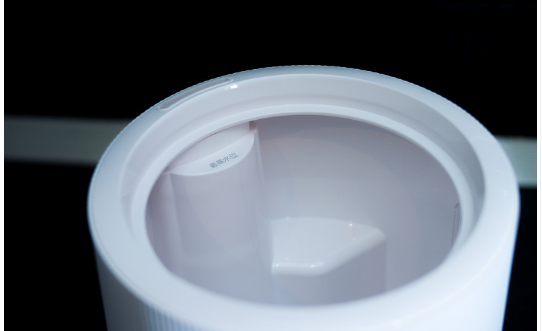 The insides of the Xiaomi Deerma DEM-SJS100 Humidifier comes with an inscription in Chinese. 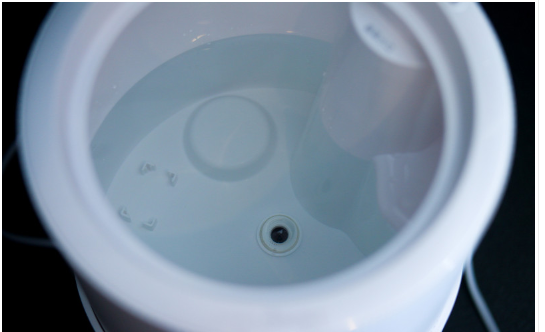 Which indicates the maximum level of water you can fill inside the tank. 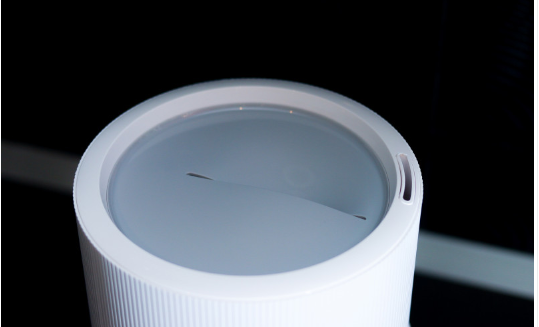 At the bottom of the filter, there is a dome of the backlight(which also acts as an indication of improper installation and low liquid level). 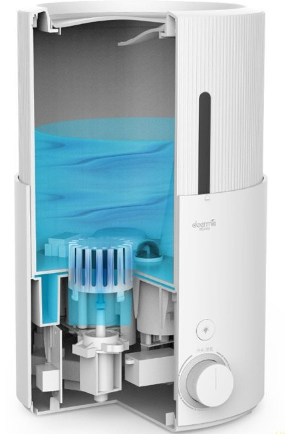 Moreover, there is also a place to install a water purifier based on silver ions (this cleaner you have to buy separately). 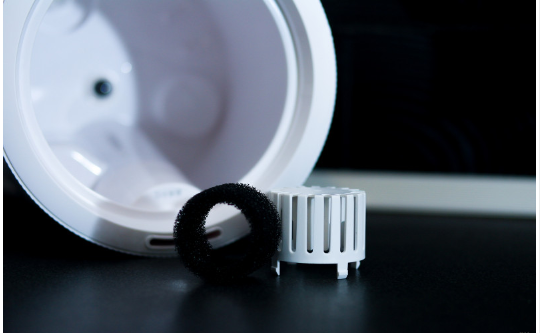 The filter is made of the removable plastic housing and has a large foam ring inside. 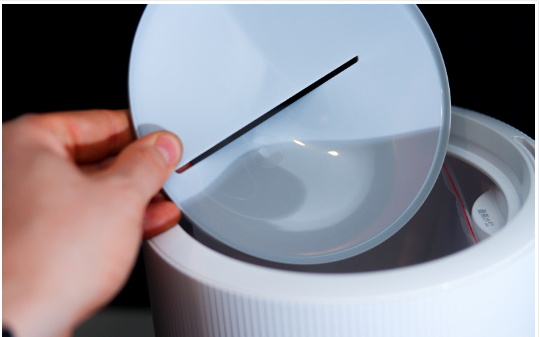 This is actually a coarse filter, which already involves the use of pure water. 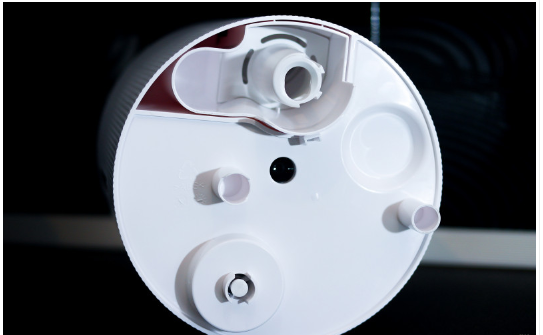 At the bottom of the tank, you can find a removable duct tube for cleaning, as well as a check valve under the filter. Consider landing under the tank. 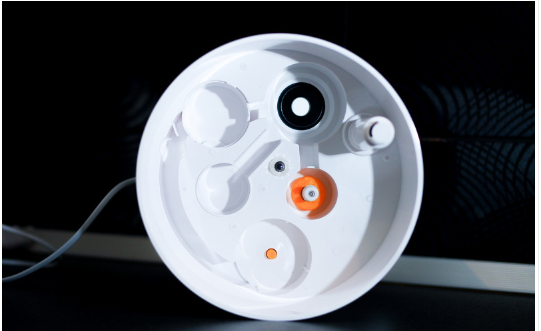 The upper right corner contains – the evaporator plate, the lower right corner holds – the water level float, the upper left and lower holds – wells for filtering with a UV lamp. However, as we said earlier, there is no UV lamp in this device. 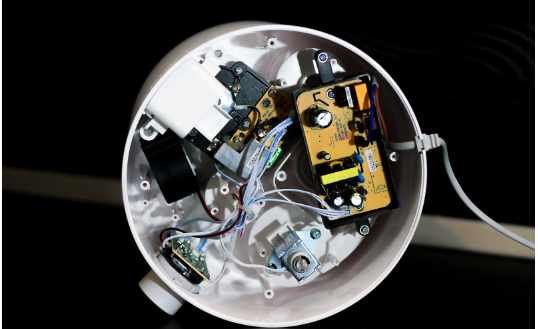 Now about the internal structure of the humidifier. 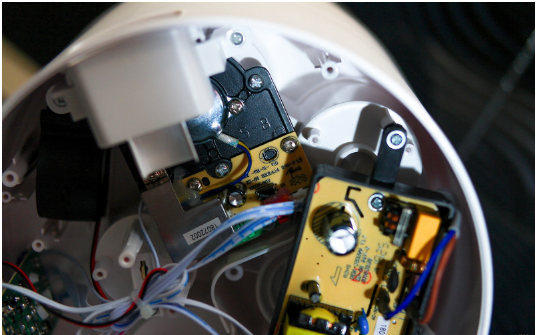 For looking into insides of the humidifier you just need to pull out the legs and unscrew the four screws. Just below the perimeter, there are holes with foam rubber cover. 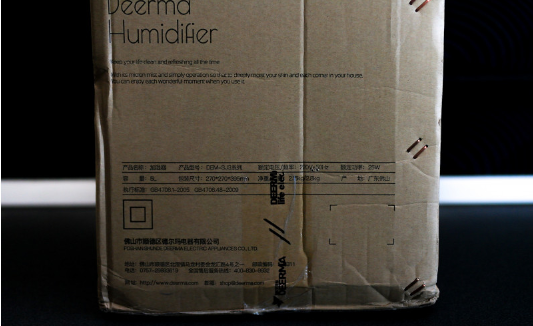 Now we will tell you about the working of Xiaomi Deerma DEM-SJS100 Humidifier. Firstly we put everything back on and pour water into the tank. 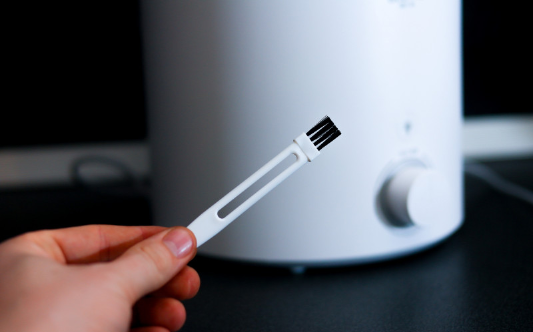 The humidifier works even if there is as less as 200 ml of water. There is no minimum mark sign is provided as such, and we evaporate the water that remains at the base through the return filter. 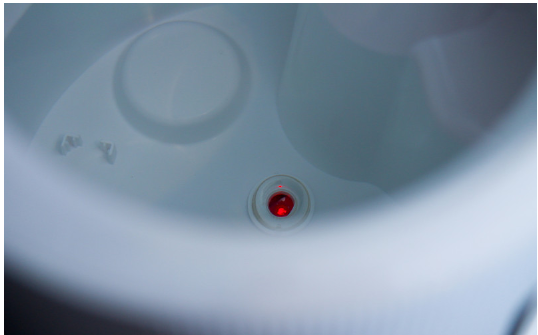 Now if you install the tank with all the parameters, there is an indicator lights up at the bottom of the tank. 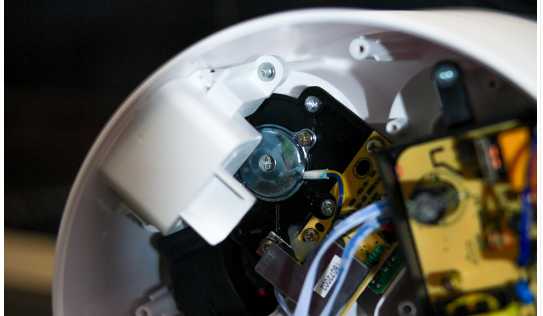 If somehow you have not connected the humidifier correctly the LED indicator will glow in red color, and it the humidifier will not start. 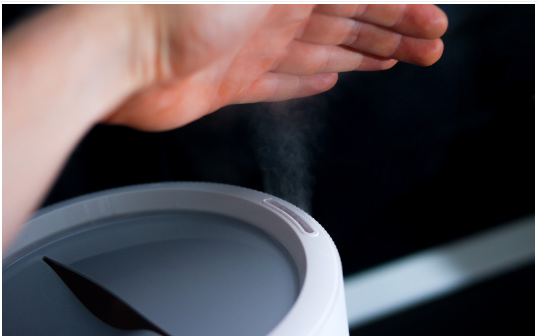 When everything is done correctly the humidifier lights up in yellow color and the evaporation process begins. If you want, you can also switch off the unobtrusive backlight from the button. When the water level reaches a critical water level, the humidifier turns off automatically and signals this with an indicator.The noise at work is minimal, but occasionally you can hear how the water gurgles. 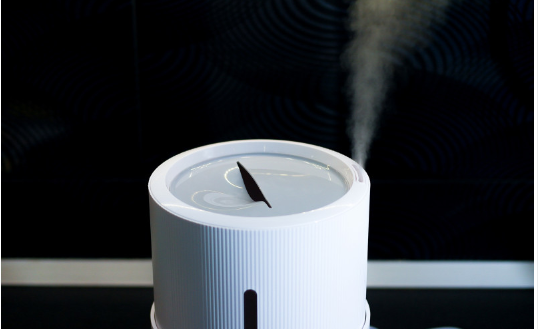 After switching on the Xiaomi Deerma DEM-SJS100 Humidifier, it will take only three seconds until the first steam appears. Rather thick steam appears at maximum power. 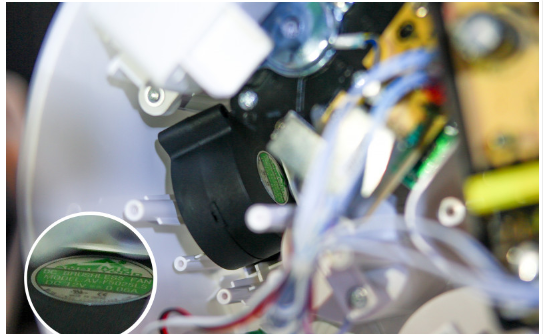 For checking the performance and working of the Xiaomi Deerma DEM-SJS100 Humidifier, we fill it up with a certain level of water and perform control weighing – 2758 gr. After that, we let the device for working for almost an hour and produce another weighing – 2539 g. It turns out that the performance at the maximum level is – 219 g/h. Which is slightly varied from the stated 270 ml/h. However, even with such an account and a full tank of water, the humidifier will work for a little over than 22 hours. Just in case, we made another hour measurement – 228 gr in 1 hour and 7 minutes. We also check how much the humidity in the room changes from 20m2 per hour of work. The current humidity is 36%, after 1 hour of work 48%. Readings we take using the weather station Digoo TH3330. For the next test, we leave the humidifier to work at night (8 hours) and check the humidity in the room. Results before the beginning of the measurement – 38%, in the morning – 68%. 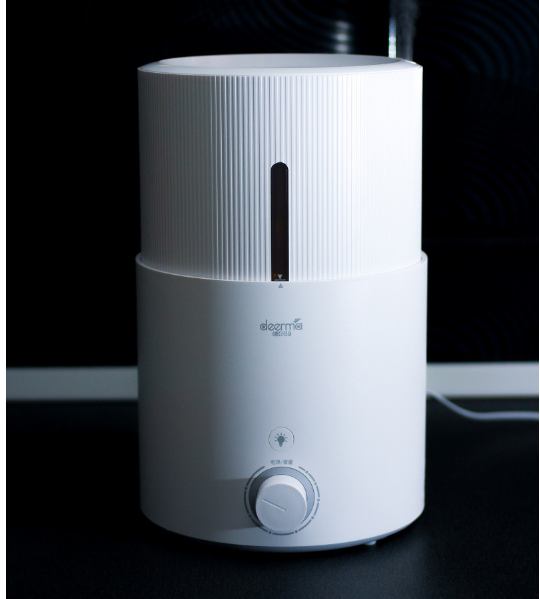 Since the Xiaomi Deerma DEM-SJS100 Humidifier is a rather primitive device. And it cannot be controlled in any way, we use a smart outlet from the previous review for ease of use. Although it is far from to be called an intelligent home system, it is sometimes more convenient to control the device from a distance. 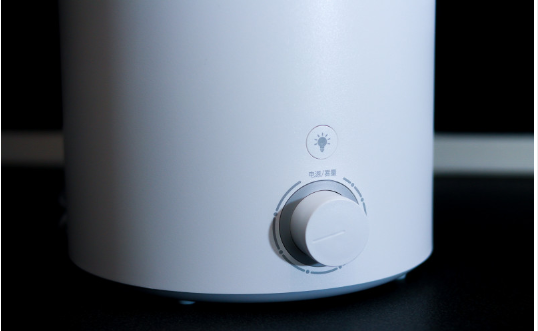 What is required of the humidifier itself? This exposes the necessary force and locks the handle in this position. Then you can turn off the power using the outlet itself. 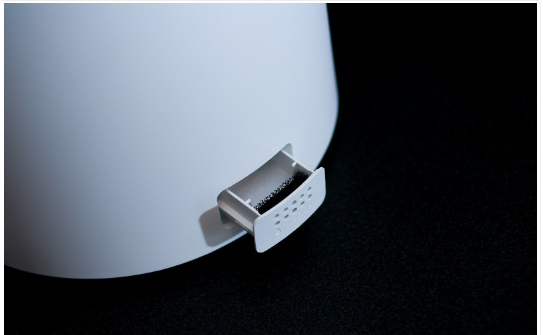 As for the Xiaomi Deerma DEM-SJS100 Humidifier itself, it is an expensive device compare to its counterparts (according to gearbest Market). However, its performance is as stated and with warranty repairs in the regions (many people like to complain about this). A nice design on the amateur and stylistics of repairs in the house) and indirect participles to all beloved Xiaomi (this information should warm the soul). 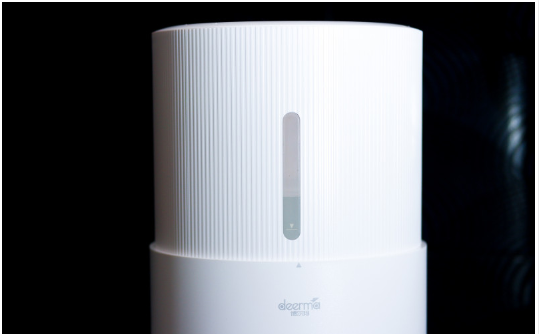 Where to buy Xiaomi Deerma DEM-SJS100 Humidifier? 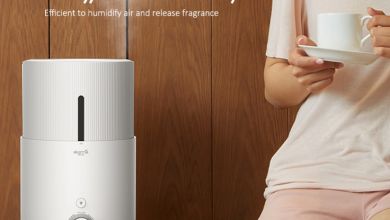 The Xiaomi Deerma DEM-SJS100 Humidifier is available on gearbest for just $91.51.